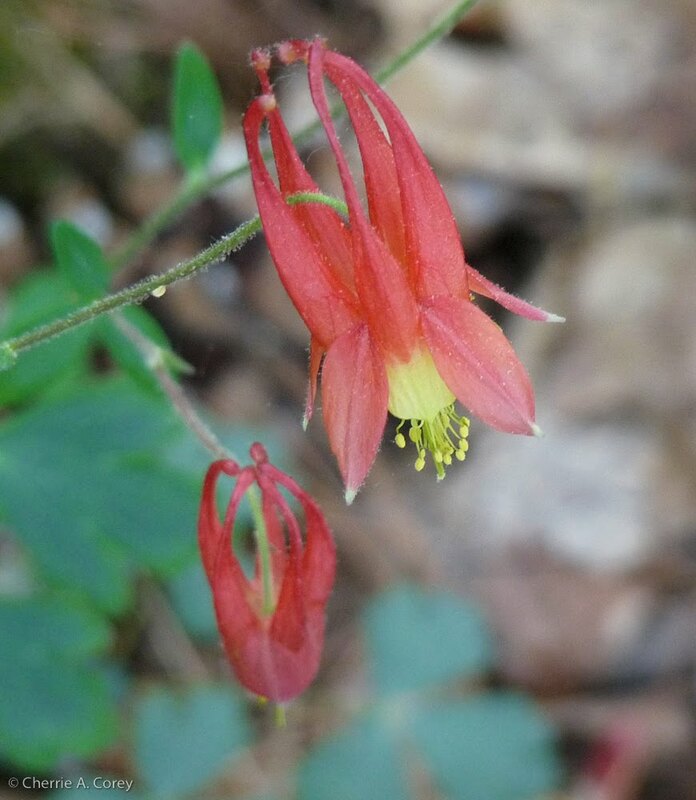 I joined Emily Wheeler and others for a short walk around Martha's Point yesterday, in search of columbine and other spring flowers. The dry, rocky outcrops that rise above the silty soils along the Sudbury River's eastern shoreline support an interesting mix of native and introduced beauties. In addition to sessile-leaved bellwort, starflowers, and canada mayflower all in bloom, we did find the beautiful wild columbine (Aquilegia canadensis), hairy solomon's seal (Polygonatum pubescens), and common barberry (Berberis vulgaris). Where woodlands met a driveway, we also encountered health escaped swaths of white Vinca or periwinkle (V. minor var.) and Golden dead-nettle (Lamium galeobdolon). See all in the Concord Wildlands 2010 photo album..